Brown dye over yellow background for lovely contrast. Nice corner tooling detail. This supple yellow latigo board lies perfectly flat for easy play. Check (pun) it out. 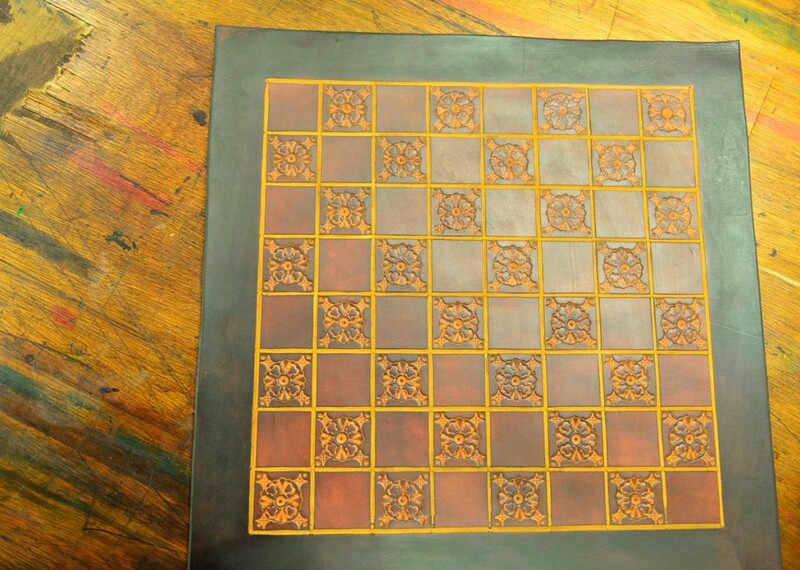 Squares are individually hand tooled. 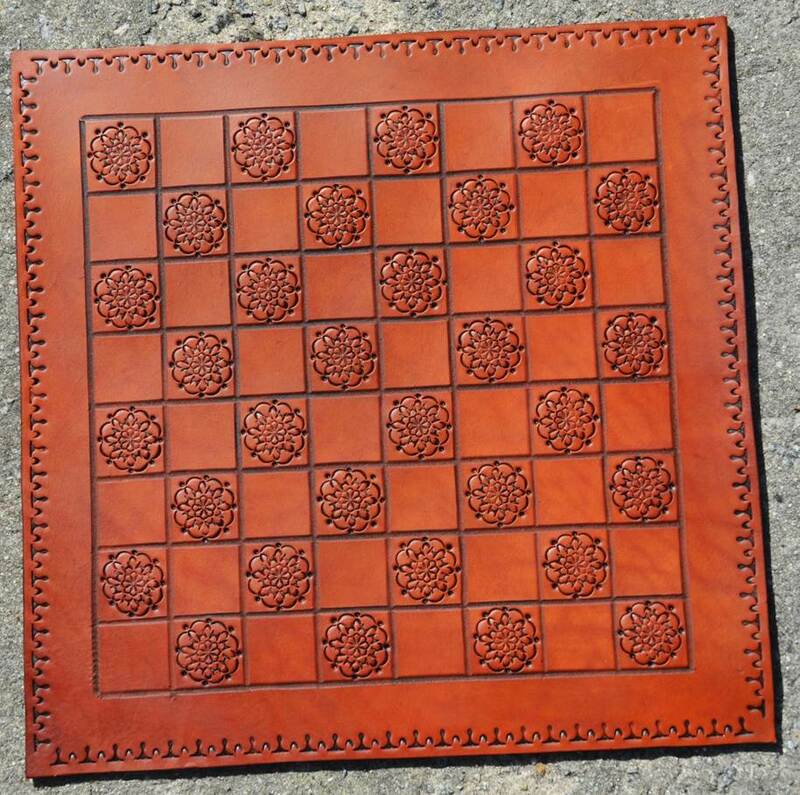 All boards are available in any color combination, and with any size squares. 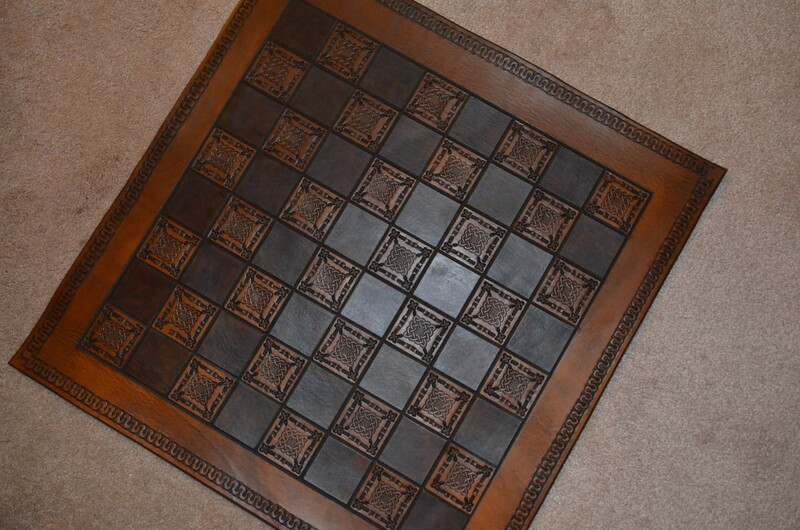 We specialize in matching our board to your game pieces. Our boards are so beautiful you will always leave them in plain sight. Medium brown over gold with a nice dark brown border. Yellow latigo leather. Saddle tan antique really makes the tooling details on this board snap. 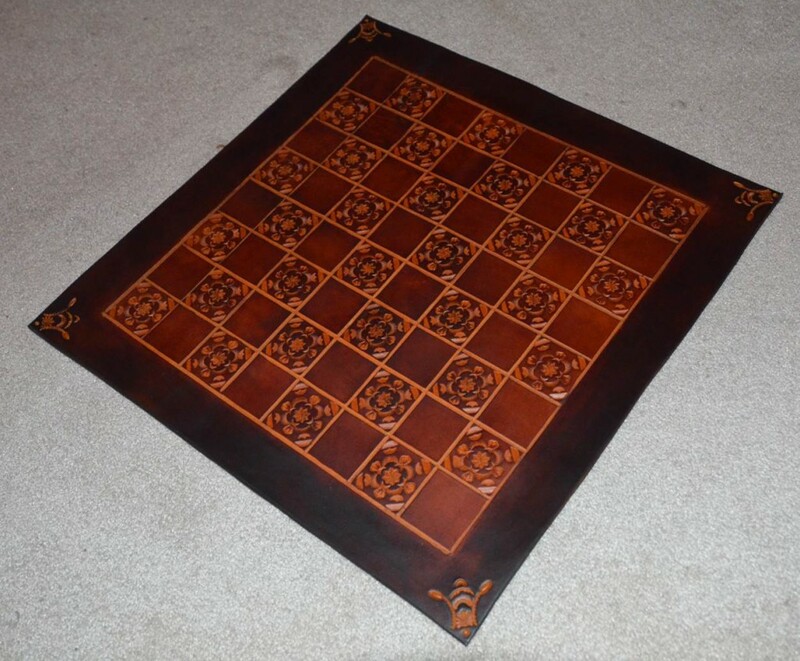 Made from oak leather, this board is mounted on birch ply with all edges burnished. At the intersection of durable and gorgeous. Rich brown antique on this oak leather beauty. Chocolate border really sets off the play area. Mounted and burnished. 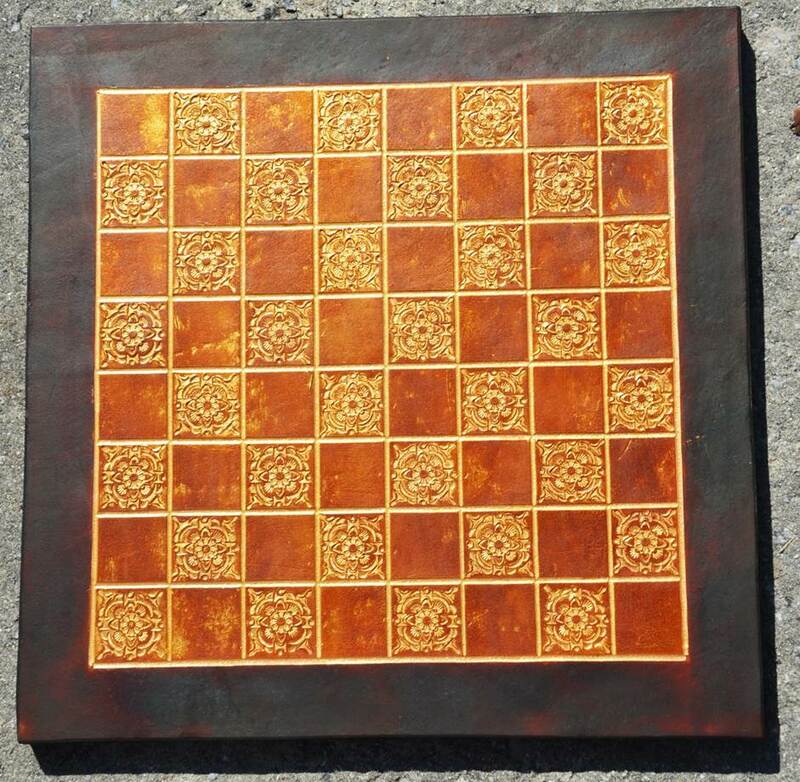 Hand painted gold base with medium brown over-dye. Absolutely stunning. Dark brown border. Mounted on smooth birch ply with all edges burnished. Really nice saddle tan antique over yellow latigo. Unique border tolling which happens to resemble your basic pawn…this was no accident. Brown antique over yellow latigo. 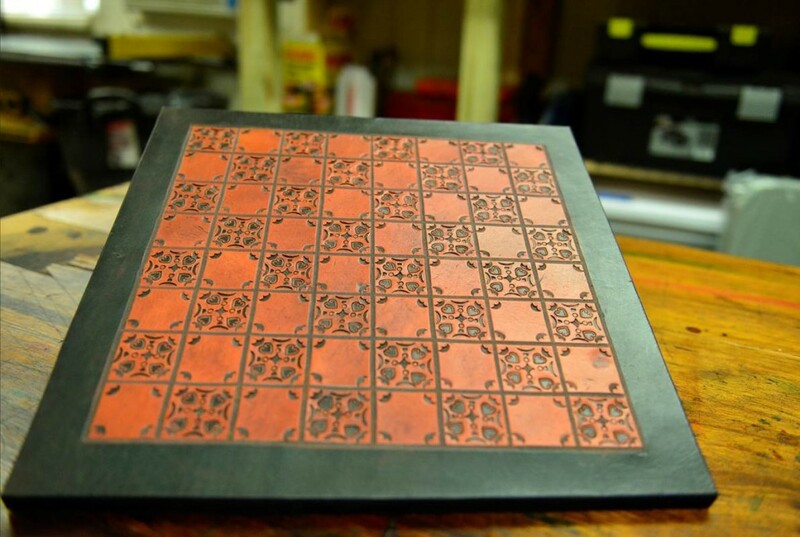 Untooled squares are hand painted chocolate for max contrast. 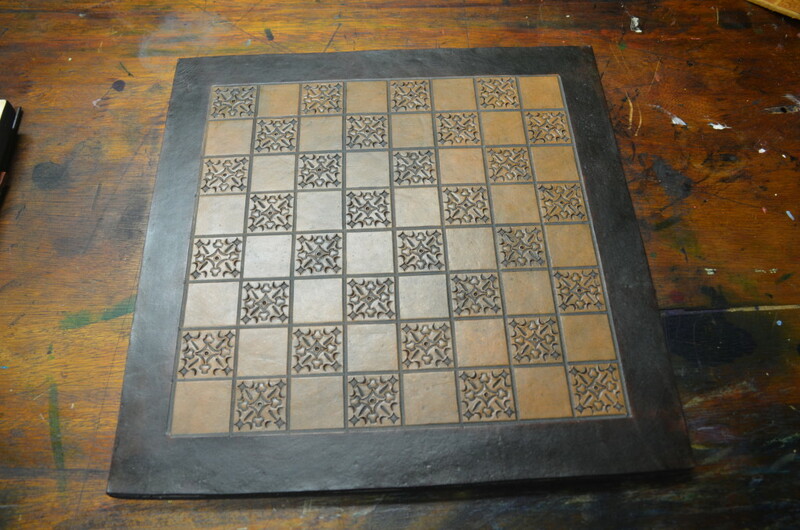 Pawn border tooling. Medium brown antique over yellow latigo. Very nice corner tooling. 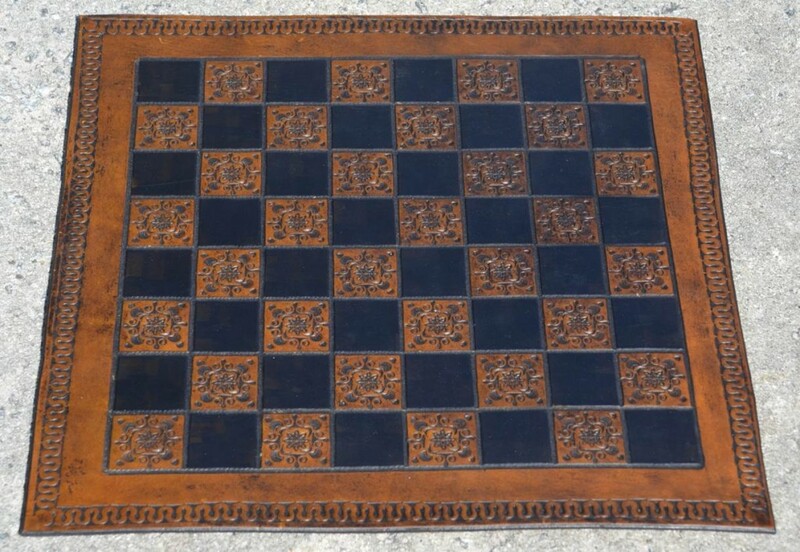 Very subtle light brown antique with hand painted darker squares. Light border makes for nice contrast. 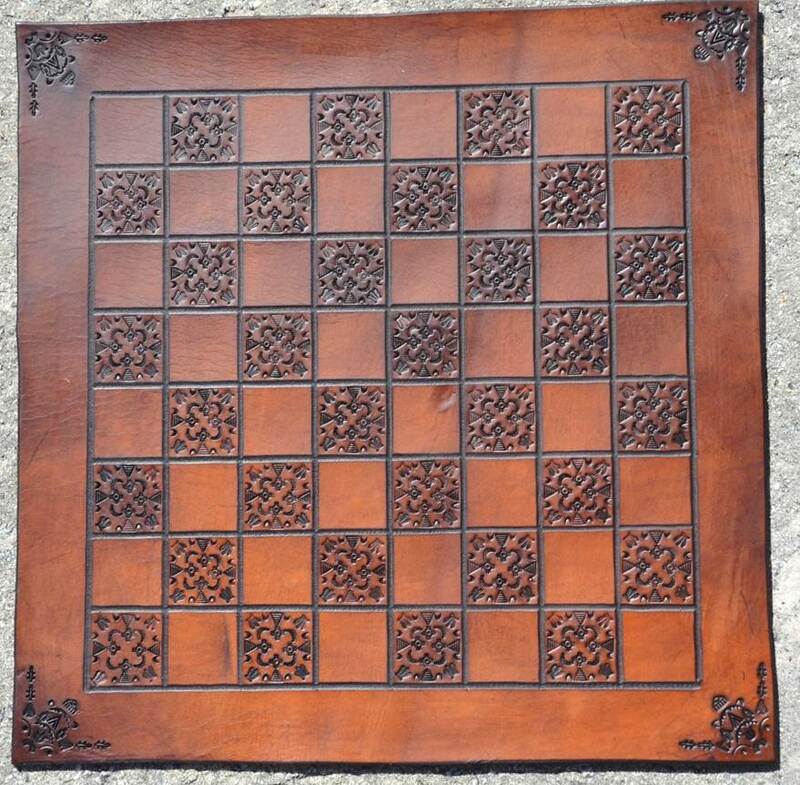 Nice Celtic-themed game board. Pawns border. 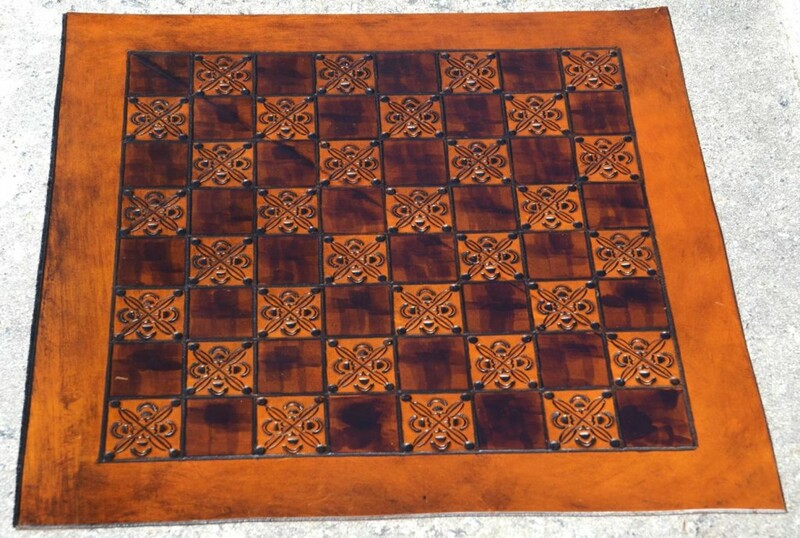 Brown antique with dark brown alternation squares. 2″ squares for your fat pieces. Infinitely customizable.